What Grip Size is Best? Home/Videos/Grips/What Grip Size is Best? 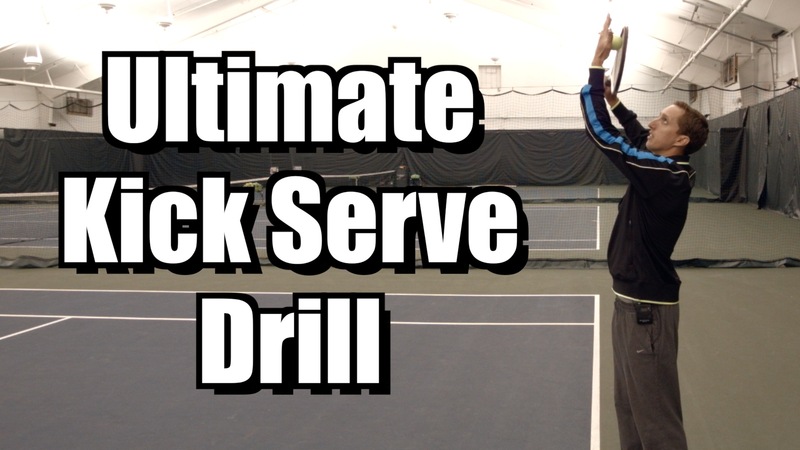 Learn how to anticipate your opponent’s every move so you can win more matches – Click Here! Develop your psychic powers so you can know exactly what your opponents will do next – Click Here! But if you haven’t found your “perfect fit” yet the number of options can be overwhelming. Here are some tips to point you in the right direction! 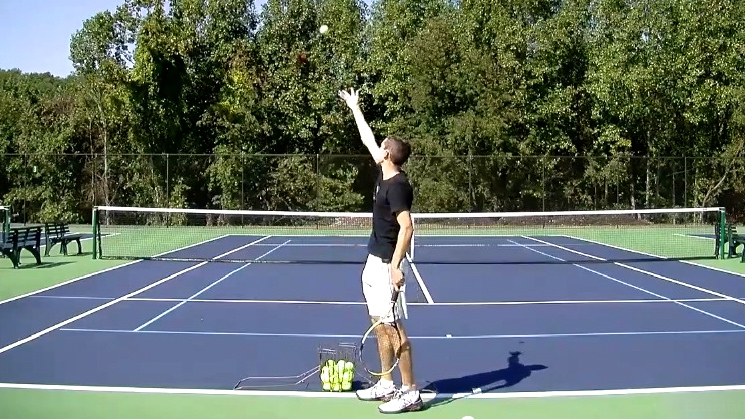 Learn how to tell the future on the tennis court – Click Here! I have two identical Babolat Pure Drive rackets, except that the grip of one is a size smaller than the other. I actually like shifting between them. Using different grip sizes will put your extensor digitalis muscles at different lengths when playing, and the origins of these muscles are where the tennis elbow condition is initialized. I believe the changing of grip sizes may prevent tennis elbow somewhat. I also believe that a clear sensation of the bevels help me change my grip accurately between strokes, so I agree with @pman on the disadvantage of using extra overgrips. I have actually considered removing the soft grip all together and replacing it with just a single or two overgrips. Finally a comment: Did you notice that Gasquet winds overgrip up to ball on the end of the handle as hockey players do? I think he uses this as a pivot point when hitting his one-handed backhand. The trend now is to smaller grips. I suspect that a small grip will make it easier to open your racket face on low shots without adjusting your grip, but a large grip will give you more precision on the angle of the racket face. Years ago, correct ground stroke technique was developed based on heavy, dead 65 square inch dead wood rackets on bad grass that produced low, irregular bounces. Ground strokes were hit much flatter, so precise control of elevation was essential. Picking up low balls was easy because people were still taught to use the correct shake-hand grip. With today's smoother, higher bounding surfaces and ultra-light, ultra-powerful large-headed rackets incorrect grips and swings can give you a big advantage — to the extent that no one on the pro tour today still hits his ground strokes correctly. One consequence of using an incorrect western grip, however, is the difficulty of lifting the ball when you _do_ get one that's very low (e.g. when the opponent hits a backhand chop using the backside of the shake-hands forehand grip). A narrow handle will let you open the racket face a bit more in those circumstances, and the loss of precision in elevation is less critical because of the way topspin curves the ball. So if you learned correct technique twenty-five or more years ago and still use it, a thicker handle may be best. If you want to benefit from the highly unorthodox technique everybody nowadays seems to be using, however, a thinner handle will help you get away with it. I use 4 1/4 with at least two overgrips. The overgrips I generally use end up with a grip around 4 3/8s. As I understand it, many of the pros have more than one overgrip on their rackets. The overgrips add cushioning over a regular grip. Also the modest weight of two overgrips can make the racket slightly more head light. I also place two headbands under the last overgrip to help tell me where my grip is. This helps me keep my grip properly laid out. Plus I can make small adjustments up or down the grip to change how I play. Finally, if you ever want as smaller grip, (like giving the racket to your kids and getting a new one yourself), you just remove the overgrips. That's not an option if you have a big grip to start with. I have taken grips down in size (usually 1 size but with care up to 2 sizes) by using a single sided razor blade and scraping the panels (maintaining a flat contact with each of the 8 panels). A file can also be used in place of or in addition to the razor. Torque on any mishit is a function of where the ball hits relative to the centerline. Ian makes this point. That said, the resistance to the twisting of the racquet during contact is a direct function of the difference between the torque from the ball and the resistance to the torque from the hand and arm of the player. This is basically the frictional force resisting the racquet twisting time the distance from the center line of the handle. So a larger handle could reduce the twist of the racquet with some reduction in the loss of rebound. In the extreme – a metal mechanical arm clamped to a grip even bigger than the racquet, you would still lose some rebound force from torque on the frame itself and also a reduced trampoline effect off the strings. Select the grip that helps you make contact on the centerline and is comfortable. Thank you for all your videos . I really enjoy your lessons . The size of the grip helped a lot , so I don't have to worry any more . Using overgrips to increase size rounds the edges a bit, I personally like sharp edges so if I want to increase a grip I use shims under the grip. I haven't done this is a while so I don't know about the latest technology in grip material, but in the past it you could easily plain a grip down to size. I like a smaller grip, but I was having some problems with the grip twisting a bit on hard hit reaction volleys. My solution was to buy an extra tacky grip (Mega Tac by Tourna Grip). Now my racquet feels more like a rapier than a battle ax, which I like. I have even eliminated the regular grip under the Mega Tac so I can feel the edges of the grip and know my hands are in the right place on the grip. I am about 6'2" with fairly large hands. My grip size is close to a 4. The extra tackiness on the grip also allows me to relax my fingers and know the racquet won't slip. Wow, that's a small grip for how big your hands are. Goes to show that it's all about personal preference. Don't forget that adding a heat shrink sleeve will add weight tobthe racquet and will change the balance. Also, the more grips you add rounds out the bevels and adds weight. Yup, very true. Good reminder! I have long fingers and have used the one finger spacing rule. So I built up my grip to 4 5/8 and I feel good about it. I'm the same way, Dom. Glad you've found what works best for you. What is the smallest grip you can buy? It varies from racquet to racquet but I believe the smallest possible in an adult frame is 4" even. I read an article pondering in favor of smaller grips sizes and mentioning Nadal. The two main arguments were that for the baseline rallies, would be easier to change grips with a smaller grip. Also the injuries like Tennis Elbow would be less likely to happen. I actually changed my grip size from the 1 finger rule (#3) to a smaller (#2), and I feel more comfortable now. Even because I always have an overgrip on. If I try a #3 now it feels like the racquet will leave my grip on the first shot. But I would like some kind of confirmation about the injuries aspect. Everything else may be considered personal preferences. That's interesting, because I've heard the opposite, that a too-small grip size is a cause of tennis elbow. I have pretty large hands, and I add overgrips to make my handle size effectivley 4 3/4 (it seems you can't buy a racquet in this size any more). Now, my hand can stay very relaxed (as Ian mentions) and still control the racquet. If the handle is too small, I have to squeeze tighter, and that puts more stress on my arm. I’ve also heard that generally speaking a larger can help reduce tennis elbow. Larger grip tends to help players relax their hand more, which equals less tension in the forearm. Agree with Michael and Ian. I switched from 41/2 to 45/8 (plus 3 additional overgrips) and my tennis elbow problems became solved. And this also meet the "1 finger space rule" for me. When I played with 41/2, my friends and teachers use to told me "hold harder the racket", because sometimes when hitting hard, it twisted. With my extra large grip, no more twisting and more fun tennis (no pain). I can now relax my wrist, even hitting hard. And finally. 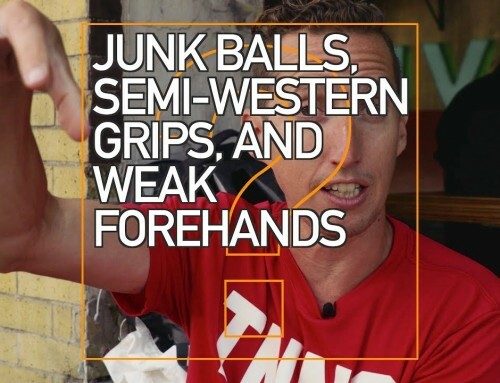 if you change grips (forehand to backhand or viceversa) correctly, i.e. changing with the non dominant hand, grip size really doesn´t matter.